Fire proof the elevator, sprays pump and automatic door etc. High risk building elevator, water pump, fans etc. Big screen of stock excha monitor system, financial machine tools, national treasury. The military radar, vehicle mobile phone, civil air defense channel, underground facility. Hospital and operating room, school, public square, station, park. Sport place, meeting and exhibition center. Design with two kinds of power supply both AC and DC. It’s available to automatic change against different situation.long use life. CPU control and LCD display. Protection of over voltage, under voltage, overheat, over current, short-circuit etc. It can combine with fire linkage, contact with RS232 or RS485, and monitor remote. 1. 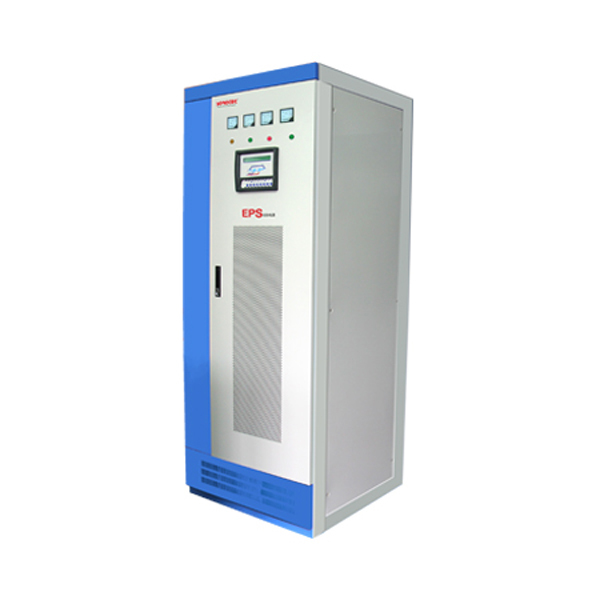 The capacity of the industrial uninterruptible power supply must be greater than the total capacity of the load. 2. The different characteristics of the load of the industrial ups power supply capacity requirements are also different. As close to the load resistance, the input power factor is greater than the industrial uninterruptible power supply output power factor (typically 0.7-0.8), according to the output of the industrial ups power supply factor to calculate; such as input power factor of the load is less than the output of the UPS power factor, according to the input power factor of the load to calculate. 3. To ensure that the industrial power supply run stably for a long term, load capacity is generally not more than 80% of the capacity of ups and newly installed UPS generally need to set aside certain load expansion allowance. 4 in order to improve the reliability, the method of N+1 parallel redundancy can be used, which is a reliable power supply for the load. That N equipment for the load to provide power supply, 1 units to ensure redundancy, when the system has any equipment failure, the load of the power supply can be guaranteed.